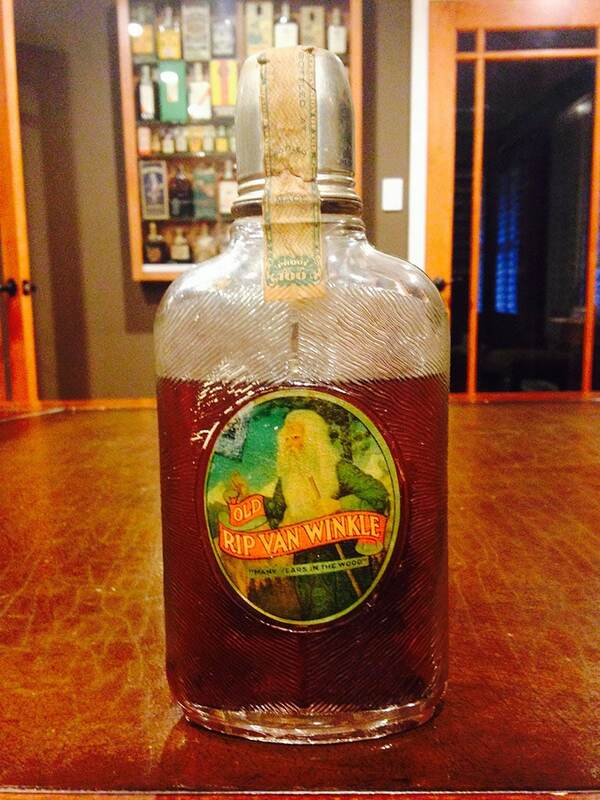 Here is one of my favorite bottles in my collection. I’ve seen two others out there that are sealed and unopened and one is a permanent guest at the Getz Whiskey Museum in Bardstown, Kentucky. Scroll to the bottom of this blog post from the Alcohol Professor to see one of them (among some other great bottles). Now, with this setup, where does this bottle come into play? Did Pappy make the whiskey inside? Upon closer inspection, the answer is an interesting “no”. More on that in a minute. You see, back in the days of prohibition, whiskey was consolidated into government warehouses around the country by the millions of barrels. What actual whiskey went into a particular bottling wasn’t very important. Slap a brand name label on there and you’re good-to-go as evidenced by my Black Gold collection. Most of the prohibition hooch sat way beyond the number of years it was supposed to. That is why you see a lot of 16, 17, and 18 year old prohibition era medicinal whiskies. This was not necessarily a good thing as over aging can make whiskey taste like licking a barrel stave, as I’ve heard Chuck Cowdry put it. Let’s take a closer look. First, the label and bottle are perhaps the most beautiful you will ever see on a prohibition pint. Great art, great color, and great embossing. The embossing starts with Old Rip Van Winkle’s hat adorned head on the back while his long whiskers flow from his face all the way across the front of the bottle. I’ve tried to get a good photo of it but it didn’t come out as good as it looks in person. Unfortunately, with this bottle, the tax stamp has faded to the point where the barreling and bottling dates are illegible. Based on other bottles I have from the same era, this whiskey was most likely barreled in 1916 (see Getz example at link above) and bottled somewhere between 1931 and 1933. I’m afraid we’ll never know how long this particular bottle of whiskey was “asleep” in the wood. As you can see, there is no mention of Pappy Van Winkle, W.L. Weller, or Stitzel-Weller anywhere on this label. The liquid wood in this ornate piece was distilled by H. S. Barton of Kentucky. If you’ve ever been to a liquor store, you’ve heard of Barton. Today, Barton Brands distills a whole lot of spirits and, in the whiskey world, is known for its 1792 Ridgemont Reserve, which is quite good. 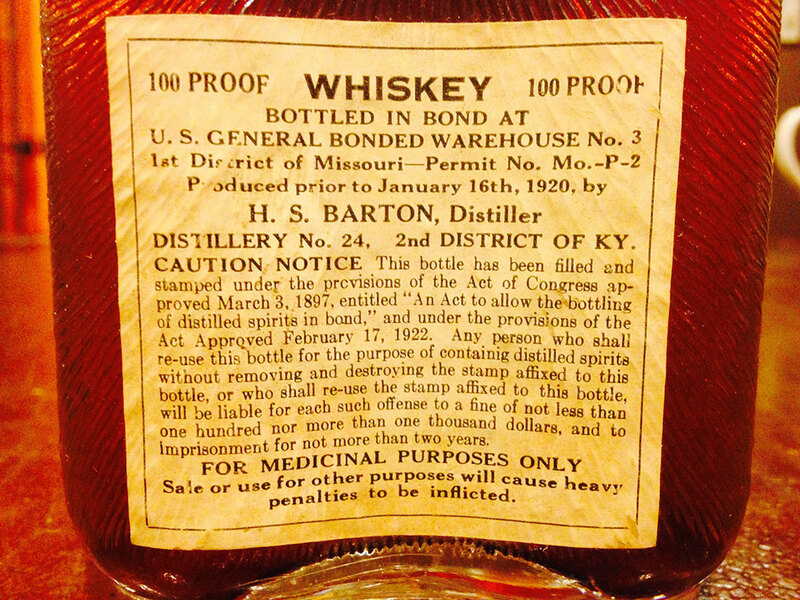 An interesting note is this whiskey made the journey from its birthplace of Kentucky to its resting place of U. S. General Bonded Warehouse No. 3 somewhere in Missouri. Talk about government regulation! One question I have is who actually owned the whiskey in this warehouse? If you know, please comment below. While researching for this post, I found a fascinating legal document circa 1921 against several “revenuers” who, much like the legend of Old Fitzgerald, got a little greedy for which they were, eh hem, “desirous of removing to his dwelling for use and disposition of the spirits.” Maybe one of these knuckleheads worked at U. S. General Bonded Warehouse No. 3. Time to watch the season premiere of Boardwalk Empire! Cheers. 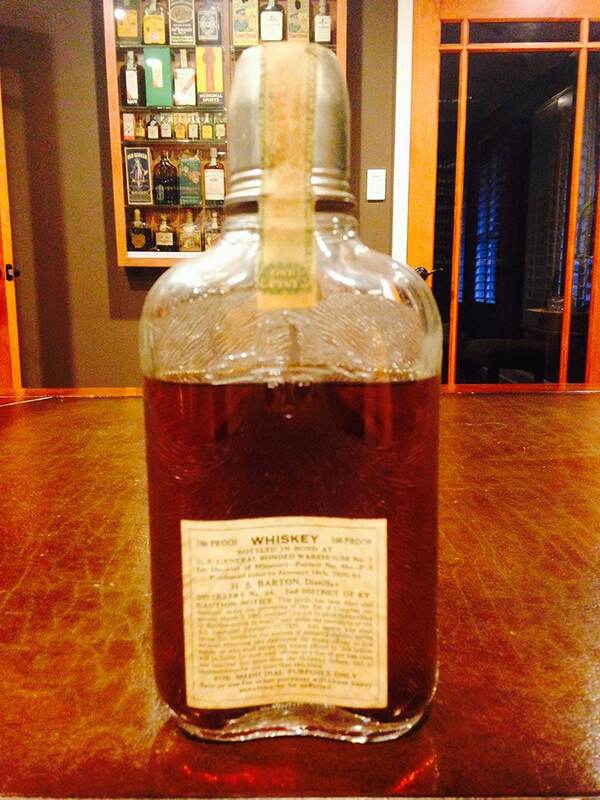 Your best bet is to put that Pappy on eBay and see what happens.